Longtime Pixar producer Darla K. Anderson announced today that she is leaving the company, after 25 years with animation studio. 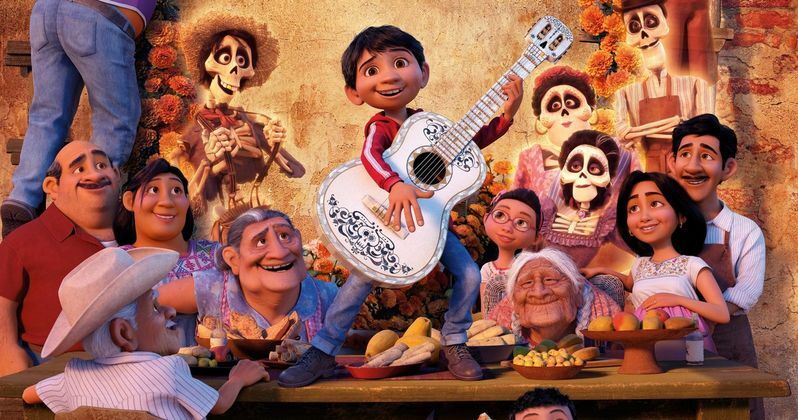 The producer's announcement comes just days after she won her first Oscar, alongside director/producer Lee Unkrich for Coco, which won Best Animated Feature at the awards ceremony on Sunday night. She is leaving Pixar to pursue, "other creative and philanthropic endeavors." Here's what Darla K. Anderson had to say in a statement about leaving Pixar. "I've had a magical and privileged experience working at Pixar for over two decades. The creativity, imagination and innovation at Pixar is second to none. I'm truly grateful to have been a part of this historic journey and hold excitement for my next chapter." Darla K. Anderson joined Pixar in 1993, following her work with Angel Studios in Carlsbad, California, where she served as the executive producer of its commercial division. She was first introduced to the world of 3D computer graphics there, which lead her to relocate to the Bay Area with the intent of landing a job at an upstart animation company called Pixar. She joined the company in 1993, first serving as a "digital angel" on the first Toy Story before first serving as a producer on 1998's A Bug's Life. Here's what Disney chairman/CEO Bob Iger had to say in his statement. "Darla has been a creative force in animation and a strong voice at Pixar for 25 years. She's made an indelible mark on the industry as an Oscar-winning producer and a relentless champion for stories that reflect the diversity of the global audience. She takes my best wishes with her as she sets a course for her next adventure." Darla K. Anderson produced A Bug's Life, Monster's Inc., Cars, the short film Mater and the Ghostlight, Toy Story 3, the short film Dante's Lunch and Coco. In 2008, Darla K. Anderson set a Guinness World Record for the highest average movie gross for a producer, at $221 million per movie. Here's what Pixar chief Jim Morris had to say in his statement. "Darla is not only a storied producer, but one of the true pioneers in the creation of computer-animated feature films. From A Bug's Life to the sublime Coco, Darla has produced a remarkable body of movies that have not only raised the bar for animation but for cinema as a whole." She has also served as a mentor for many of the female producers that have come through Pixar, and has been a staunch advocate for the LGBTQX community and other organizations that empower women. Here's what Ed Catmull, president of Walt Disney Studios Animation and Pixar, had to say in his statement. "I have had the pleasure of working closely with Darla for over 25 years. She was there from the beginning, when we were all figuring out how to make a computer-graphics animated film, and I personally owe her a debt of gratitude for all her contributions to our studio and our industry." The exit of Darla K. Anderson also comes just a few months after Pixar chief creative officer John Lassetter stepped down after admitting to "misseps" in his behavior around the office. There is no indication yet about any future projects Darla K. Anderson may be boarding. In the meantime, you can take a look at the full report from The Hollywood Reporter.